A discussion session will follow. 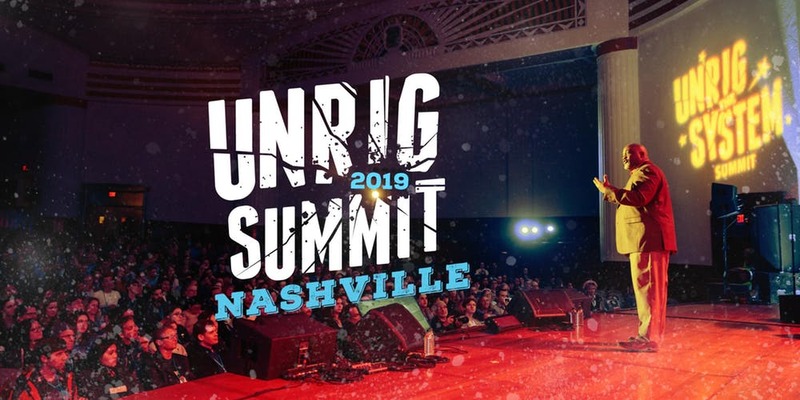 John House and Ishwari Sollohub attended the Unrig the System Summit hosted by Represent Us in Nashville, Tennessee from March 29-31. There were some very energizing speeches and exciting success stories! The event also included panel discussions and presentations on a wide variety of subjects from problems like gerrymandering, lobbying and voter suppression to solutions like ranked choice voting, open primaries, and campaign finance regulation and reporting to strategies like citizen referenda and ballot initiatives, petition drives and birddogging. We will share with you some of the insights and information we picked up while there. Now that the 2019 New Mexico Legislative Session is over, NMMOP will be refocusing its energy on some existing and some new priorities. NMMOP leadership wants to share its ideas with you but also get feedback from YOU, our volunteers and supporters. What areas would you like to see NMMOP focus on? 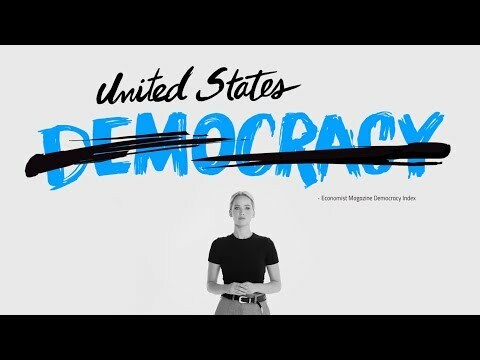 What democracy action tools and strategies should we be using? What group projects and initiatives would you like to participate in? We will be using ranked choice voting to tabulate your responses. New Mexicans for Money Out of Politics’s 28th Resolution was adopted unanimously by the Santa Fe County Board of County Commissioners at its regular meeting held on Tuesday, January 29, 2019! The Resolution demonstrates the strong support of Santa Fe County government and its residents for an amendment to the U.S. Constitution that would reverse several unsound U.S. Supreme Court decisions and reconfirm the authority and responsibility of federal, state and local government to regulate campaign finance in this country and eliminate the corrupting, unfair and unequal influence of wealthy individuals and artificial entities, including corporations and special interest groups, in our elections, reviving the voice of the People in our elections. Thanks to all of you who have supported this effort and a SPECIAL SHOUTOUT to the persons who came to the general meeting and/or wrote your County Commissioner to show the Board of County Commissioners that you supported the Resolution!!! It could not have happened without you. Our Fall newsletter has now been published and emailed out. Subscribe below if you missed it! Our political leaders are too beholden to special interests and their wealthy donors to truly serve the needs of the American people. The dominance of money in politics not only corrupts government itself, but also blocks effective action on virtually every major issue Americans care about from big bank bailouts to affordable health care to our personal freedoms. We believe the only force capable of challenging the corrupting influence of moneyed special interests is a diverse, non-partisan, grassroots movement. New Mexicans for Money Out of Politics is helping to build a Democracy Movement to meet this urgent need. Help Make Government Work for ALL the People. If we really want a government of, by and for the people, it is up to us to make it happen. Let’s join together to make government work for ALL of us. NM MOP was founded to fulfill the ideas in the book Breaking Big Money’s Grip on America: Working Together To Revive Our Democracy by Bruce Berlin. NM MOP has formed an affiliation with American Promise (AP), a national organization promoting a 28th Amendment to overturn the Supreme Court’s Citizens United case. We lobby our elected officials on this important issue, as well as on campaign finance disclosure, a state ethics commission and other election reform legislation. As hundreds risked arrest today (12/5) in D.C. to protest the new tax cut/reform bill, it is very clear that this bill is the most significant example in recent history of the price we pay when our elections are bought and sold by the highest bidder, i.e. Big Money. The tax bill cuts $1.5 trillion in programs that we all rely upon like education, Medicare, Medicaid and Social Security. It is moving forward in order to give tax breaks for the big donors – the ultra-wealthy and Big Business! This is why New Mexicans for Money Out of Politics is helping to build a national, grassroots movement to break Big Money’s grip on America! This tax bill should put to rest once and for all any doubts about the real-world impact of the Supreme Court’s evisceration of campaign finance law. This article by Daniel I. Weiner from the Brennan Center for Justice, New York University School of Law explains why.